These whiptails are pretty common in the greater San Diego area, but I haven't visited San Diego in lizarding season since I was a kid, and back then I wasn't paying attention to which whiptail species I had or hadn't seen. 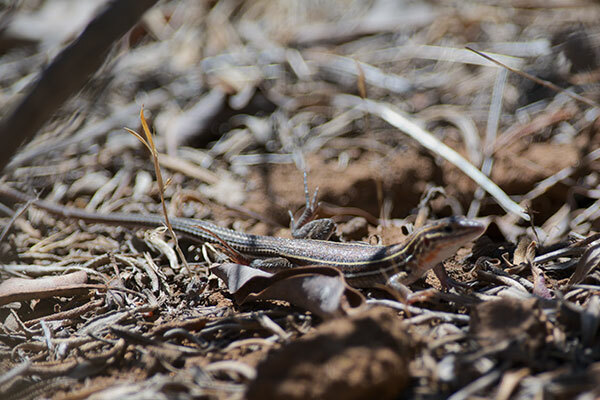 So I set out to find me some orange-throated whiptails on a pleasant June afternoon. Fortunately, I saw a few. Unfortunately, they were as uncooperative as your typical whiptail of any species, and I only got this one terrible photo. 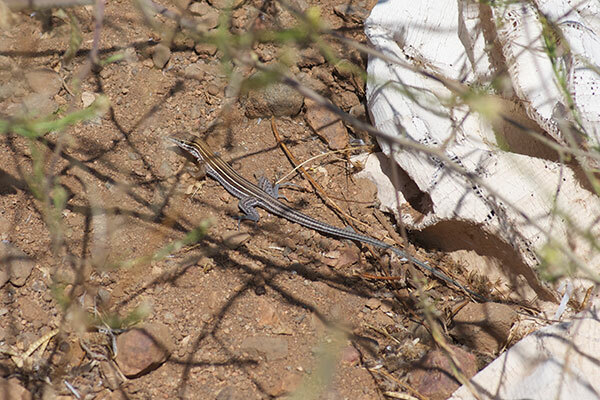 These whiptails are no easier to photograph in Baja California than they are in California.